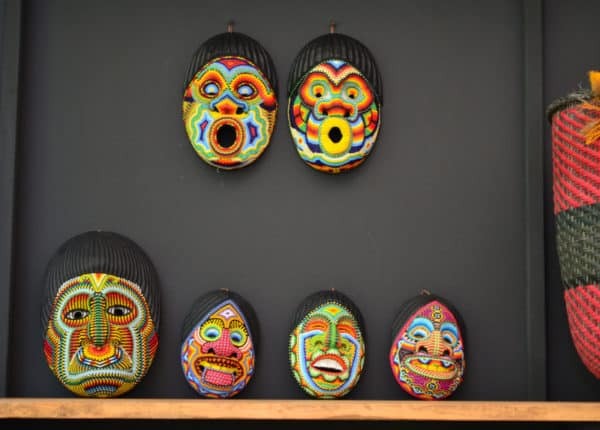 The Kamentsa people live in the Sibundoy community in Putumayo. 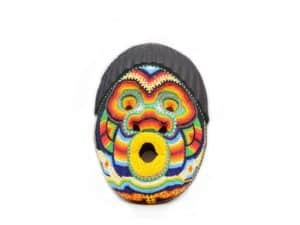 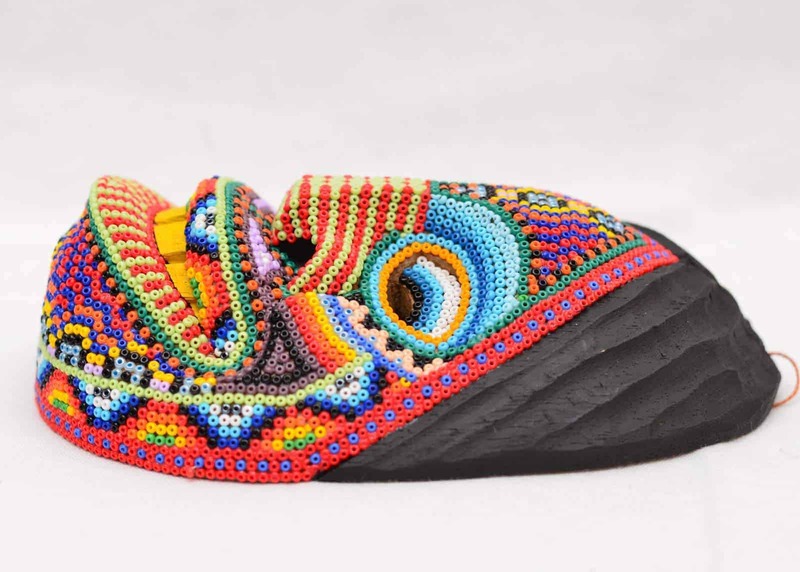 Their customs and traditions are reflected in the ceremonial masks they adorn with images received during the Yage rituals they celebrate to heal their souls. 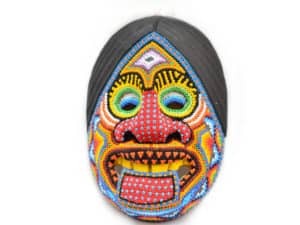 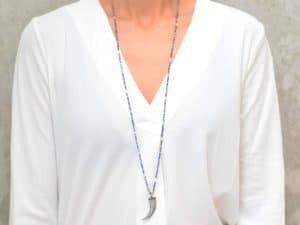 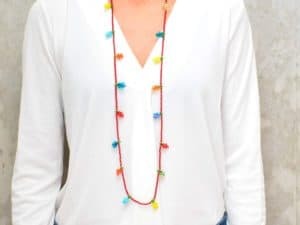 During the Yage ritual, they have visions of people, shapes, colors, and many other things which they then try to recreate as close as possible with beading. 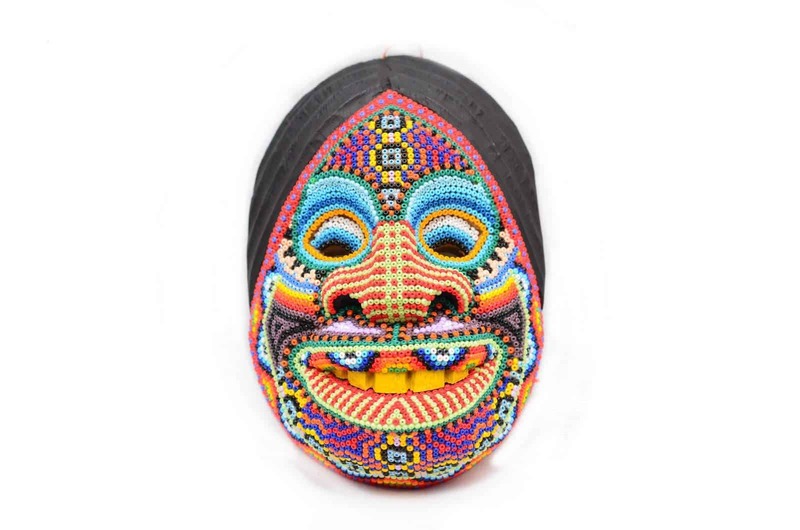 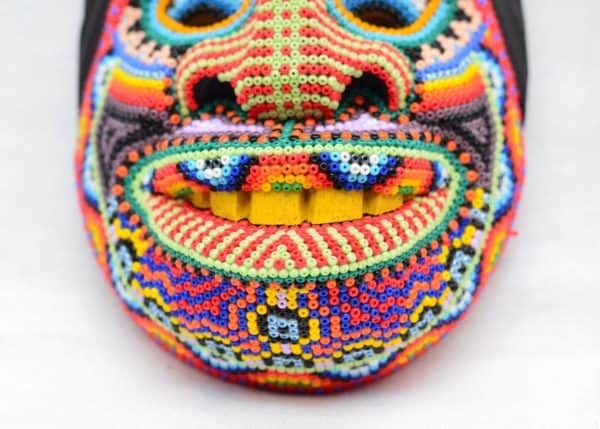 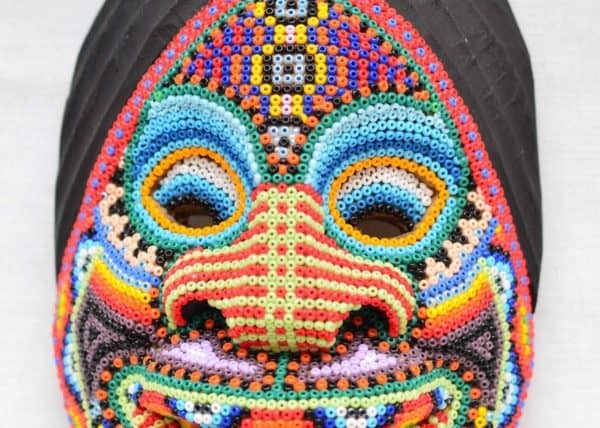 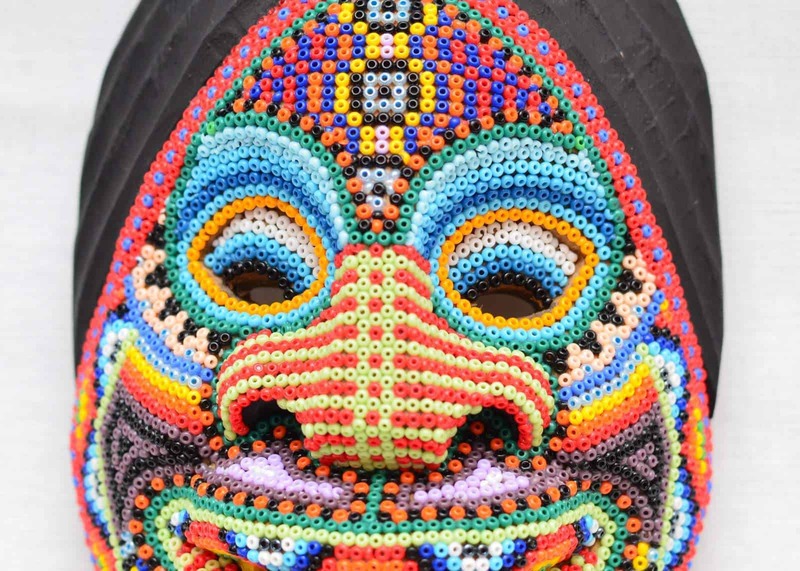 Each mask is carved, polished and beaded by hand. 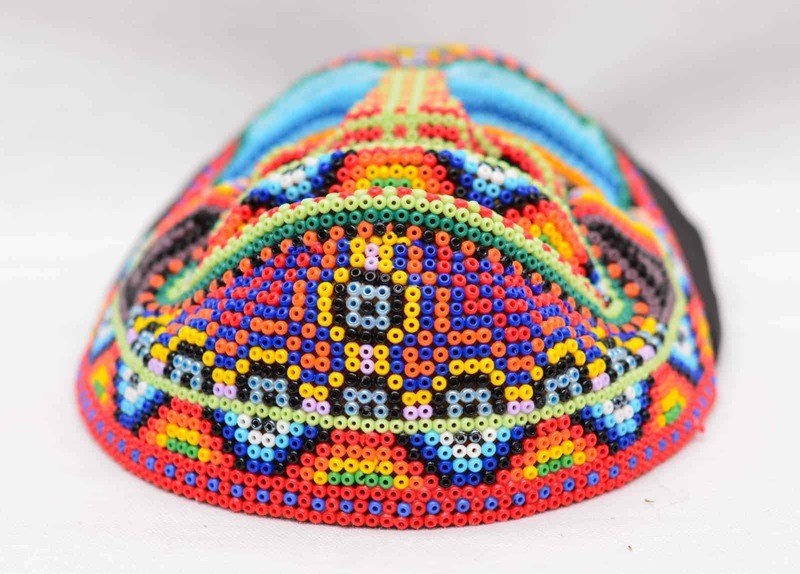 The process of placing each bead individually is not only a craft, but it is also a form of meditation. 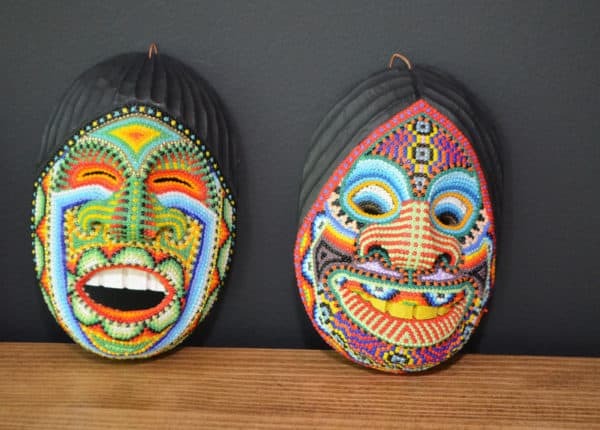 Every mask is as unique as their visions.